It’s that time of year when cool-season turnips are adorning farmers markets. 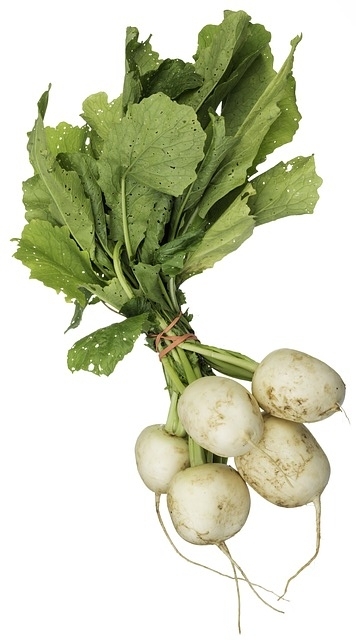 Turnips, part of the Brassicaceae or mustard family that includes cabbage, Brussels sprouts, broccoli and, kale. Brassica vegetables, such as turnips, are known as cruciferous vegetables. This refers to the four petals of the flowers resembling a cross. Both turnips and turnip greens are naturally low calorie while providing a good source of vitamins, minerals, fiber and, a little bit of protein. 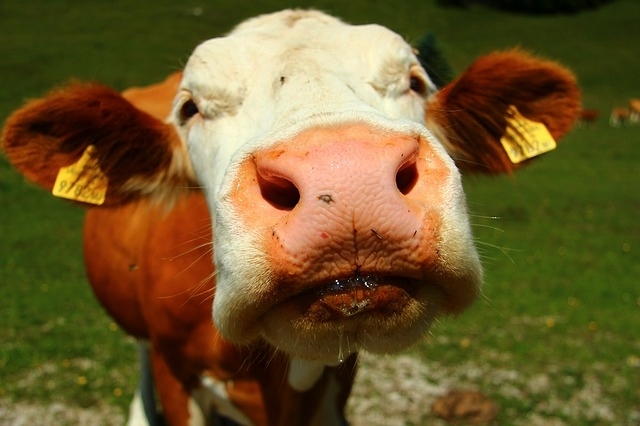 They pack calcium potassium, vitamin C, niacin and, much more. Many people boil and mash turnips to either eat plain, or mix into mashed potatoes to give them a little zing. Another cool alternative I saw was to make baked turnip chips and use them as a healthy potato chip replacement. Turnips are served raw and cooked. They can be used in salads, baked, braised, boiled, roasted, glazed, sautéed, added to soup, pickled, pureed, made into French fries and, prepared in many other creative ways. Cruciferous vegetables, such as turnips, offer sulfur-containing compounds in the form of glucosinolates. These have been shown to lower the risk for cardiovascular disease and, many types of cancer. Depending on your calorie needs, one cup of raw fresh turnip greens contains approximately 127% of the Vitamin A daily need! This is fantastic news for the maintenance and function of your immunity, heart, lungs, vision, skin, bones and, reproductive organs. 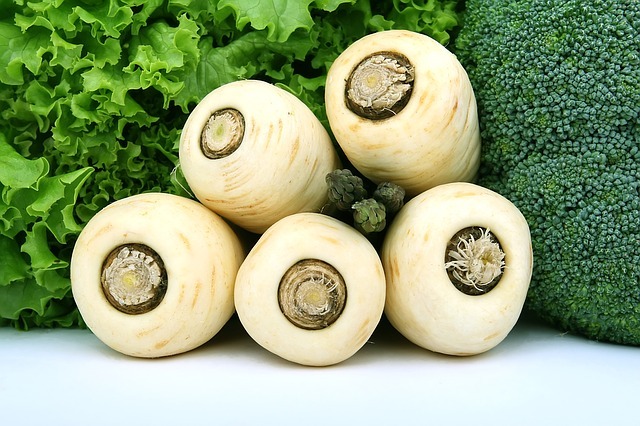 Cooked turnip root offers a decent amount of fiber which, we know is great for colon health and, regular bowel movements. Turnip greens are high in vitamin K that is involved in blood clotting, cardiac muscle, bone and, cartilage. This is great for most everyone unless you’re on a blood thinner which, if you are on one, means you have to closely follow the recommended vitamin K guidelines provided by your medical advisor. The next time we see them at the market, let’s not quickly turnip our noses at turnips! Give them a try and turnip the volume on your root vegetable intake today!! OK! You can stop groaning. Its time to go try some of the resources below.